In order to deliver the highest quality parts and the greatest ROI for our clients, ATACO Steel Products has invested in the very latest and most efficient laser cutting technologies. With two multi-axis CNC laser cutter systems and four 2-D lasers, we can produce dimensionally perfect and totally repeatable metal parts, no matter how simple or complex your designs. 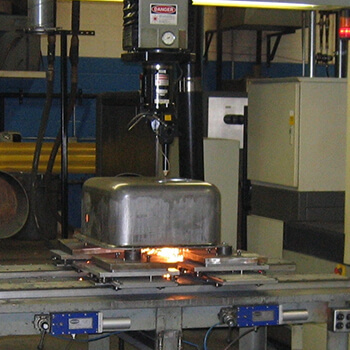 ATACO’s custom metal laser cutting services offer a highly efficient and cost-effective alternative to other fabrication methods. Laser cutting reduces product development time and allows for rapid design changes without expensive hard tooling costs. “Mechanical” fabrication processes like stamping require new tooling for every new part or prototype iteration—with our technology, you need only change your CAD/CAM files and our CNC laser cutter does the rest. We use dynamic nesting to optimize material usage. By analyzing your part shape(s) and material needs, we can determine how to get the most parts from the least amount of material. We have 24/7, “lights out” laser cutting capabilities that allow us to deliver high quantity orders in fast turnarounds. Each part will be cut with perfect precision and match your designs exactly, from the first piece to the last. Request a quote on laser cutting for your project, or contact ATACO to learn more. To reduce the time and cost of laser cutting, ATACO has an in-house nitrogen generator that allows us to cut with nitrogen instead of the traditionally-used oxygen as an assist gas. Laser cutting with nitrogen offers numerous advantages. It provides greater cutting accuracy, and produces no oxidized edges, which allows for better weldability and paint adhesion. 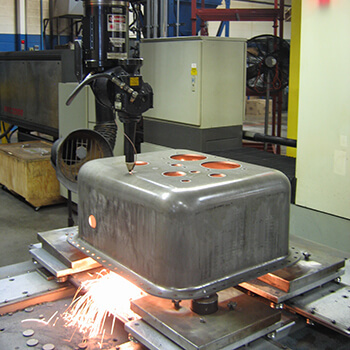 Nitrogen-assist laser cutting eliminates the need for secondary post-process laser oxide removal, which results in faster production times and lower overall costs for our customers. If you need three-dimensional (not “flat”) metal parts, or if your part geometry prohibits the use of a flat laser, ATACO’s multi-axis laser cutting services are the perfect solution. Our advanced multi-axis CNC laser cutter systems enable us to accurately produce any part geometry you may need and meet the close tolerances your designs require. For cutting, trimming, and piercing complex metal parts, there’s no better option that multi-axis laser cutting. Though generally less complex than their 3-D counterparts, “flat” or “2-D” parts still require exceptional precision to achieve proper fit, form, and function. 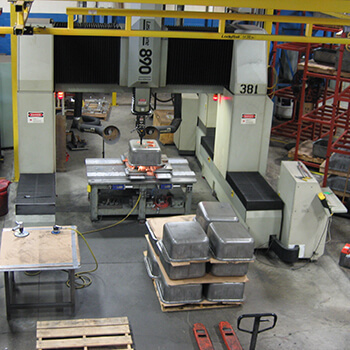 ATACO’s state-of-the-art, automated 2-D lasers allow us to deliver superior quality laser cut parts. No matter how intricate your designs, our flat laser cutting capabilities guarantee exceptional precision, short turnaround times to meet your schedule, and low costs that won’t tank your budget. Contact ATACO today to learn more, or request a quote on laser cutting for your project.